Another free place to visit is the Rialto bridge. I don't know if it's still under construction, but it's quite the experience to get lost in the mass and see the touristic shops on the bridge. This is probably the least popular palace along the Canal Grande, but it's definitely the most gorgeous palace. There aren't that many tourists which means that you can take your time to walk around in the huge building that is overly ornamented. (Dorsoduro, 3136, 30123). This piazza is pretty popular and crowded, but you can't visit Venice and not walk around this square. Just a warning: if you don't want to leave Venice as a poor man/woman, don't buy any drinks on this square because it's extremely expensive and not worth your money. If you don't want to spend all your money on water taxis or on gondola rides, then the vaporetto (which is the water bus) is a much cheaper alternative. Take line 2 for the best views. This is the place where Venetians get their fish, fruit en vegetables in the mornings. The fish market is pretty photogenic although quite disturbing for a vegan or vegetarian. But, they sell the tastiest dates and bananas, haha! A popular Instagram spot, but worth a visit. If you've got enough time, you can actually go inside the bridge and stare out. My favorite district is probably the Canareggio district because it's where you'll see the real Venetians, the food and drinks are a lot cheaper and there are tiny, cute shops everywhere. No made-in-china things you'd rather throw in the bin than keep them. I think that, if you really want to get to know Venice and feel one with the city, you have to get lost and walk around without a map. But, Google Maps can be really handy sometimes because you don't know where you'll end up. 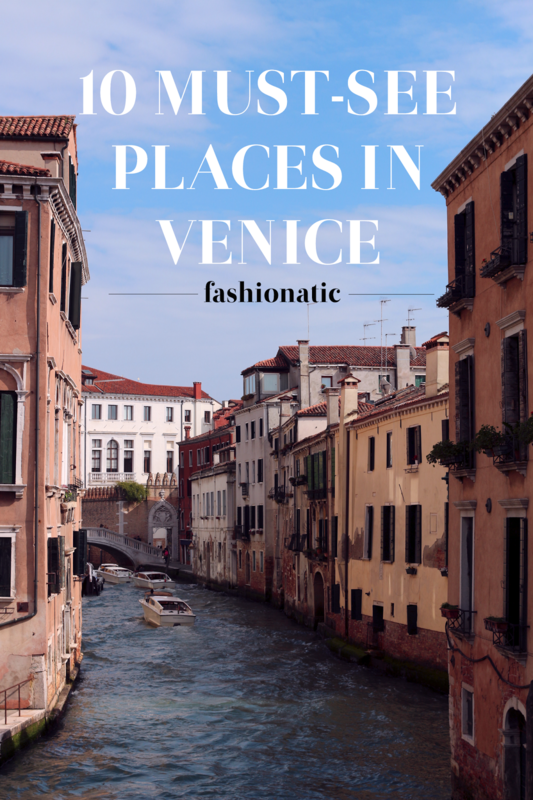 I hope you enjoyed this post and let me know what your favorite place in Venice is and which travel destinations you recommend!